2010 Kia Soul + for sale at Blue Bell Motorcars in Blue Bell, Pennsylvania! 67K miles, No Accidents, Fully Serviced with New PA Inspection, and 2 New All Season Tires. Upgraded Plus Trim with Alloy Wheels, Bluetooth, Aux Input, and Satellite Ready. This youth-oriented Kia Soul offers unique looks and a surprising number of features at an affordable price. This Soul is an inexpensive box-shaped runabout aimed at Gen Y but perfectly suitable for anyone young at heart. Youthful styling ranks high with these buyers, but so do fuel economy (30 mpg), daily practicality, and reliability. Everything inside the Soul is simple, clean and functional, a handsome and ergonomic layout. The cloth is solid, more than basic but never an assault on your senses. The liftgate is light and pops up easily. The 60/40 rear seats drop flat in a heartbeat. There's an excellent compartment under the trunk floor, and below that a space-saver spare tire.19 cubic feet of space behind the seat, about four under the floor, and 53 cubic feet with the back seat folded. This Kia Soul offers drive-it-and-forget it simplicity, four-door upright hatchback versatility, it's easy on gas and the wallet, and its styling still has personality five years on. It will appeal to many ages for the same, and different reasons. It is easy to drive and great fun in urban settings because of its nimble size, driver position and view, and responses. Safety equipment includes six airbags, active front headrests, LATCH seating system, electronic stability control, antilock brakes, and a tire pressure monitor. 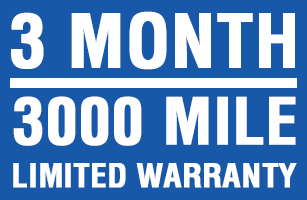 We include a 3 month / 3000 mile Worry-Free Warranty. 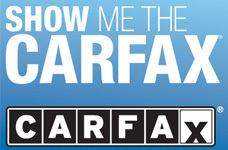 Call STUART at 610-272-0200 to check out this black beauty, you won't be disappointed.